The court will also hear the application of Virbhadra Singh seeking permanent exemption from personal appearance before the court. 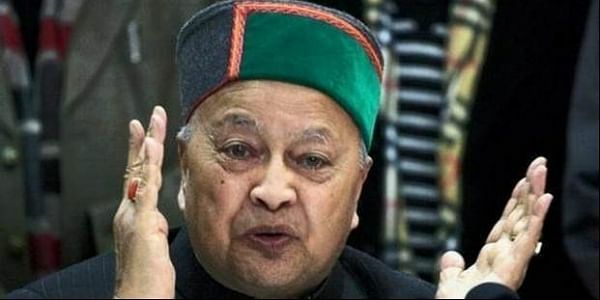 NEW DELHI: The Patiala House court will hear disproportionate assets case against Himachal Pradesh Chief Minister Virbhadra Singh, his wife Pratibha Singh and others on Thursday. Earlier on October 31, the special Central Bureau of Investigation (CBI) Court adjourned the hearing of Chief Minister Virbhadra Singh's exemption plea in disproportionate assets case to November 30. During the previous hearing, the special court directed the CBI to hand over certain documents to Virbhadra in connection with the case. The court's direction came after Virbhadra, his wife Pratibha Singh and others told the court that they have not received various documents filed along with the chargesheet. Earlier on May 29, the court granted bail to all accused, including Himachal Pradesh Chief Minister and his wife, in the matter. Virbhadra was asked to furnish Rs one lakh personal bond and surety of same amount. He was also asked to not leave the country without the court's permission. The CBI in his 500-page charge sheet claimed that Virbhadra had accumulated assets worth around Rs 10 crore which were disproportionate to his total income during his tenure as a Union minister.